Image on the cover of Mothers in Children’s and Young Adult Literature from an illustration by Sir R. Noel Paton from Charles Kingsley’s The Water Babies. Don’t ask Karen Coats about evil stepmothers. The Illinois State University Professor of English analyzes the psychology behind mothers appearing in children’s and young adult literature. 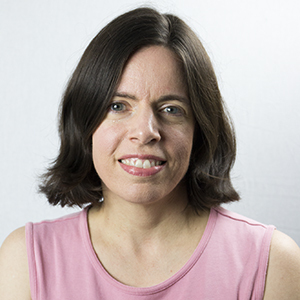 She has worked extensively on the subject, including co-editing the new book Mothers in Children’s and Young Adult Literature: From the Eighteenth Century to Postfeminism. Of course envisioning women solely through the eyes of motherhood can create a caricature that feminist scholars have long battled. According to Coats, theoretical tensions between feminist scholars and psychoanalytical scholars have led to a neglect of mothers in the study of literature. 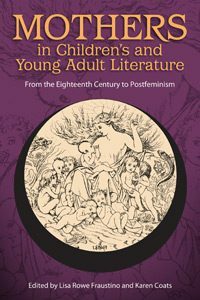 Coats and Fraustino decided to collaborate on Mothers in Children’s and Young Adult Literature in the hopes of finding a new path for the scholarship of mothers in literature. Together, they worked to choose essays that highlighted multiple theoretical approaches. “We want to find different ways of considering a mother’s influence and importance in literature,” said Coats. Chapters of the book examine a variety of topics, including the portrayals of motherhood in children’s nonfiction books about animals, the nature of forgiveness for fictional mothers who sent children on the Kindertransport during the Holocaust, the “mom-shaped hole” of children adopting adult roles, and the ethical dilemmas mother figures face in caring for children. 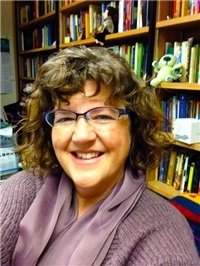 In her chapter titled “‘The Mother Was the Mother, Even When She Wasn’t’: Maternal Care Ethics and Children’s Fantasy,” Moran examines the complex approach to motherhood through the characters of Meg Murry in Madeleine L’Engle’s A Swiftly Tilting Planet and Marisa Coulter in Philip Pullman’s His Dark Materials series. Coulter’s character appears to have a dramatic shift from villain to protective mother that has drawn the ire of scholars. “Coulter’s conflicted brand of motherhood indicates how important it is that we consider the abilities and responsibilities of mothers within their particular social and political contexts,” noted Moran. Coats hopes the book will elevate the way scholars see mothers in literature. “We want them to really pay close, theoretical attention to mothers, rather than just the dismissive or reductive ways of looking at mothers as functionaries, or better off dead,” she said.